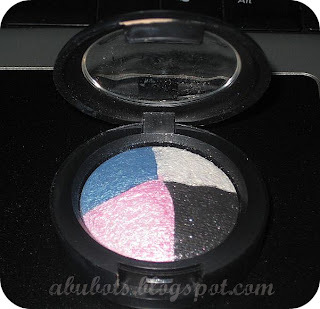 i know most of you ladies don't like MAC MES (Mineralized eyeshadows), but i am one of those who seriously love them. I have 5-6 MES in my stash and i'm loving all of them. Not all of the MES are worth it, so i made sure i got those that i can really use. my most recent MES loot are those from the Colour Craft collection, i only got two...i wanted more but i have most of the colors in the palettes so i snatched those which i think i don't have yet. what i love with these MES is with such a small compact, i'd be able to come up with several looks. i know it's kinda hard to apply and there would be fallouts, but that's something that can be fixed by spritzing it with either evian or MAC Fix+. 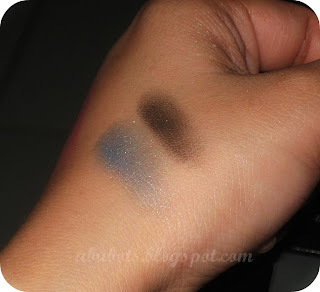 I apply my lid color using MAC 239...dab it on the palette, spritz then pat it on my lids and apply the other color dry. too much work? well, it's worth it though. so i don't mind. Those colours looks stunning against your complexion! i agree, i love MES. i think they take a little bit more work and some people are just too lazy. but the payoff is great! ang pretty ng fotd mo!